Wallington is a well loved country house set amongst woods, grounds and gardens. The house has a Pre-Raphaelite Central Hall taking a journey through Northumbrian history, portrayed in its famous paintings.The doll house collection is certainly worth a visit. The walled garden is wonderful- sprintime apple blossom, summer fragrance, autumn colour and winter wildlife. Created by the Trevelyan family in the 1920s it is a garden paradise filled by the sound of dappling water and the scents of the conservatory hot-house. and Belsay Hall are the centre of an estate that has belonged to the Middleton family since the thirteenth century. 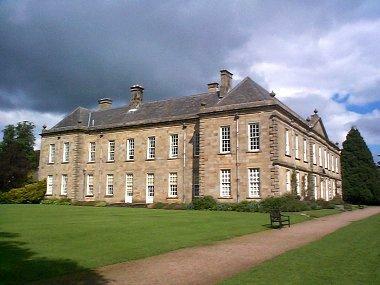 They lived in the castle until 1817, and from then until 1962 in Belsay Hall. Belsay Hall is interesting architecturally not just because it is an impressively severe interpretation of the Greek temple ruins seen by Sir Charles and Lady Monck during their extensive honeymoon 1804 to 1806, but also because it was designed by Sir Charles himself. The house is a square of 100 feet, with the rooms on the ground floor and the first floor leading off from the central pillared hall. 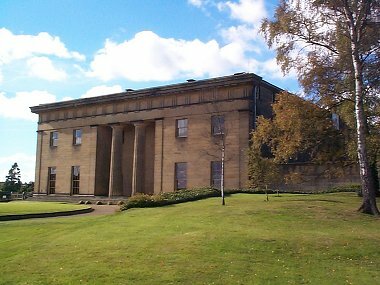 The entrance front of Belsay Hall showing the recessed porch. The Pillar Hall, principal reception room. 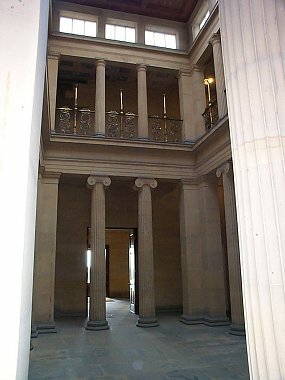 This hall is made entirely of stone - floor, stairs and pillars, with Ionic capitals on the ground floor and plainer Doric capitals on the first floor - a reversal of the usual arrangement. The rooms around this hall can be accessed directly from the hall or upper corridor, or progressed through from room to room. Little now remains of the decoration, and dry rot and damp have meant extensive intervention to conserve what remains. No furniture survives so you are left with the feeling of looking round an empty house with a view to redevelopment. This provides its own amusement of course as you can project your own taste onto the well proportioned rooms. The Library has retained the original plain paneling and marble fireplace, with some beautiful plasterwork friezes and a coffered ceiling. The cellars too are open, and incredibly extensive. The gardens at Belsay are wonderfully varied, from formal borders and huge trees to the croquet lawn and Quarry gardens leading to Belsay Castle. The stable block and service buildings are also interesting and house a shop and tea-room, run by English Heritage, who now own the site. 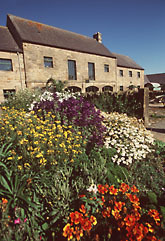 Kirkharle Courtyard contains unique shops and coffee shop.The courtyard is open 10am until 5pm through out the year. The exhibition of Capability Brown who transformed gardens in the 18th century was born at Kirkharle in 1716. 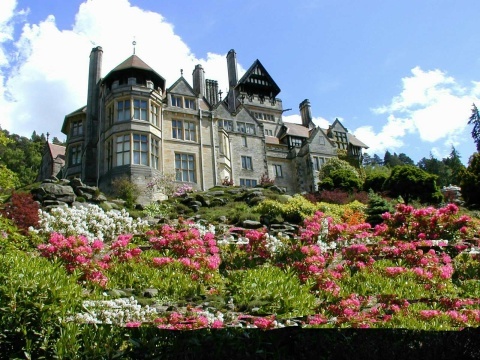 .Cragside house and gardens was the home of Lord Armstrong the Victorian inventor and landscape genius. Cragside sits on a rocky crag high above Debdon Burn, crammed with ingenious gadgets, it was the first house in the world lit by electricity.